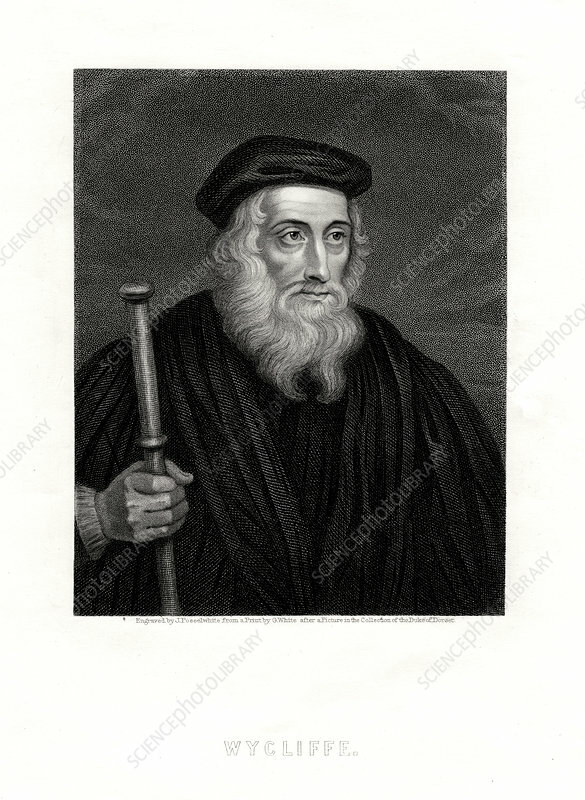 John Wycliffe, English theologian, 19th century. Wycliffe (c1330-1384) was a philosopher, religious reformer and a forerunner of the Protestant Reformation. Artist: J Posselwhite.